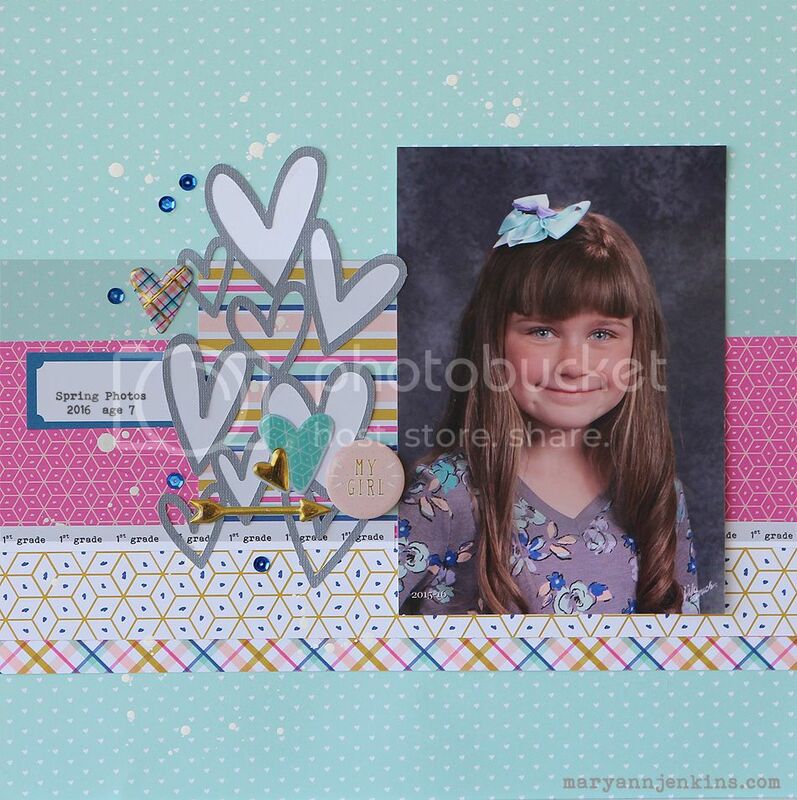 I'm playing catch up and trying to get some school pictures scrapped. Maybe it was the new order form that came home yesterday for this years photos, that reminded me last years photos still needed to be done ;) I got my girlies finished, now on to 10th grade pics of the boy. I used the Millie & June collection by Fancy Pants Designs for this one. I just love the colors, I mean you can't go wrong with teal, hot pink and navy blue mixed together! 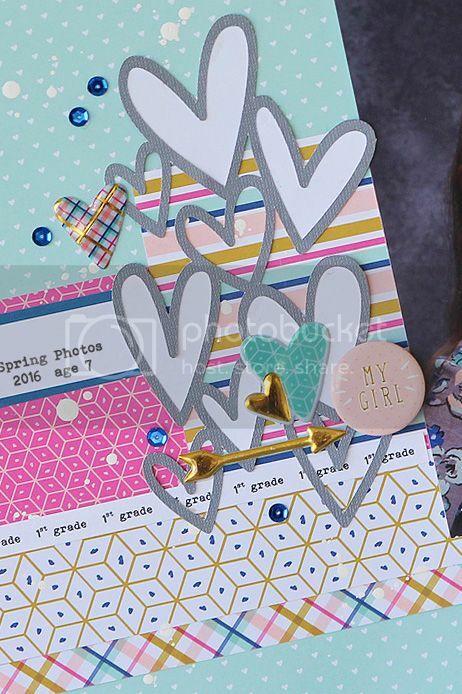 This cut file from the Silhouette store cut from gray cardstock fit right in, and was perfect to layer on some of the cute embellishments and a few sequins too. As always, thanks for stopping by, and remember you can use my code: Mary Ann in the Paper Issues store for 20% off your entire order, including the Millie & June collection! !